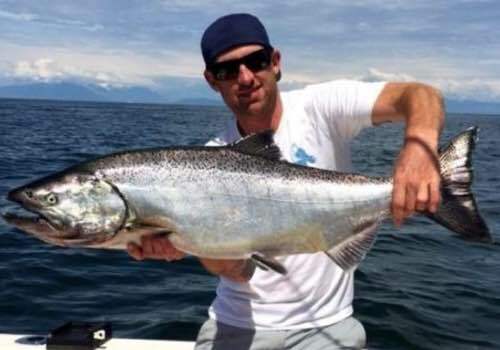 Welcome to our Vancouver fishing trip page where we have all the fishing we offer near Vancouver, British Columbia. 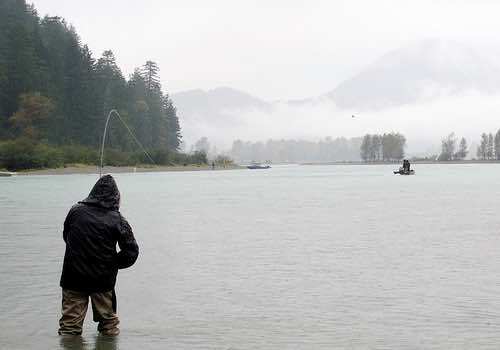 There area a ton of great Vancouver fishing trips that are affordable and that will put you into beautiful wilderness and very good fishing. 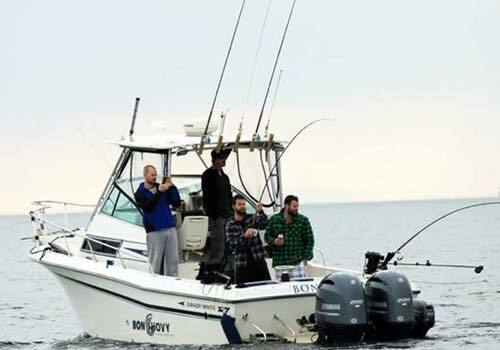 We are pleased to offer fishing in Vancouver 365 days a year. 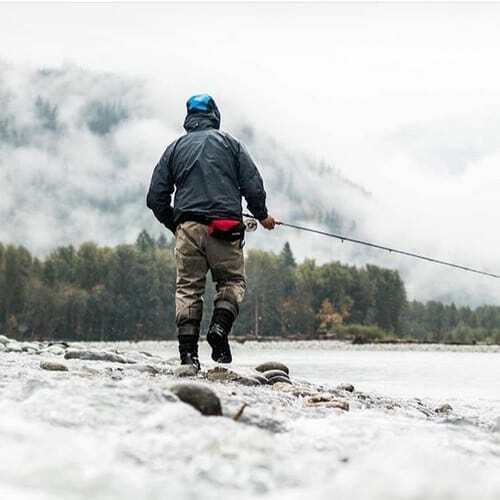 Choose from one of our top-rate Vancouver fly fishing trips or a convenient Vancouver salmon fishing charter leaving minutes from downtown. 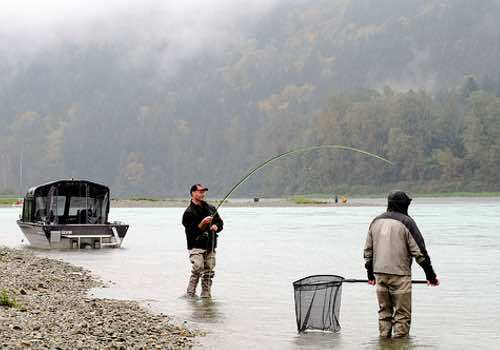 We also have two world-class BC sturgeon fishing trips on the Fraser River, easily accessed from the city. Our guide crew is on the water 12 months of the year and we love what we do, check out our reviews, you’ll see that we’re all about hustle on the water! We look forward to having you come fishing with us. Includes transportation from Vancouver, we pick you up. 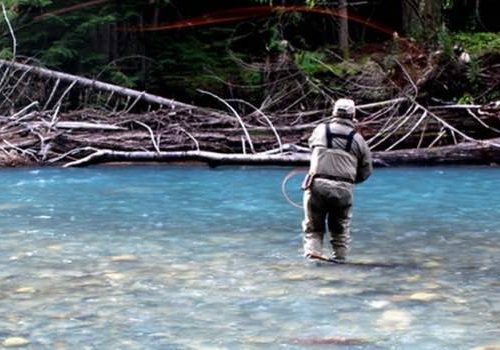 Year round fishing for salmon, trout and steelhead. Day trips start at $345 per person. 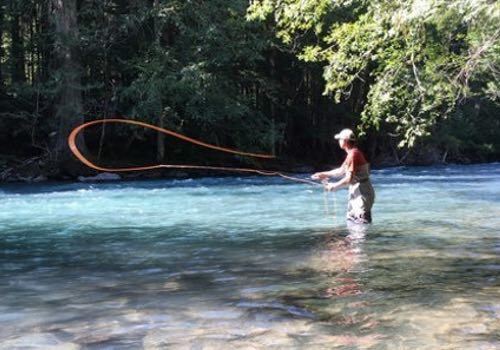 Experience fly fishing on wild rivers about an hour from Vancouver. 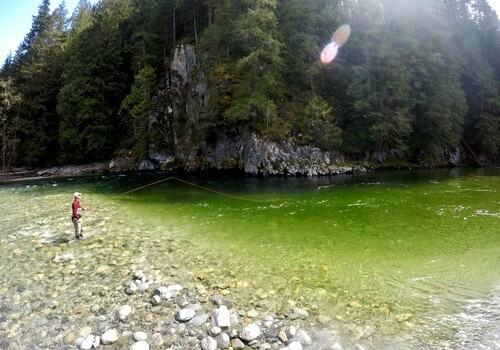 Our Vancouver fly fishing trips are full guided, include all gear and transport from Vancouver, we’ll pick you up at your hotel. 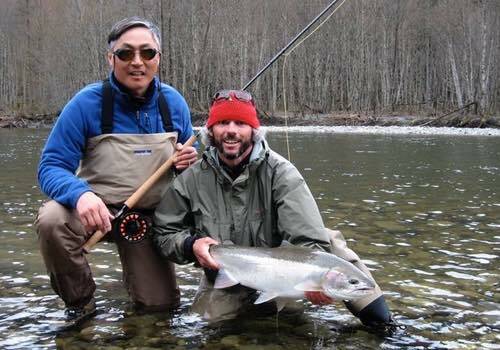 Visit our Vancouver fly fishing trips page here. Salmon fishing right from downtown Vancouver! 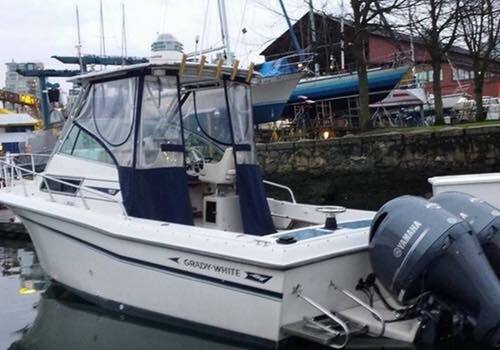 Unbelievably convenient boat location, right in downtown Vancouver! Fish with Vancouver’s most experienced guide staff. Day trips start at $550 CAD per group. 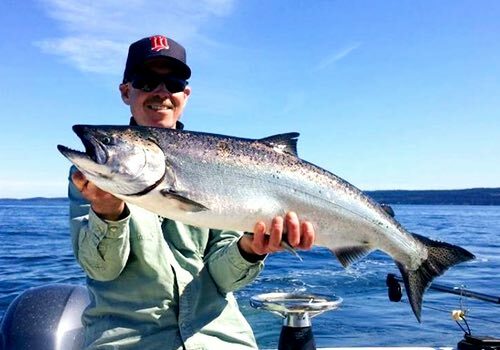 Ride in comfort with the top Vancouver salmon fishing guides on our fishing charters leaving right from downtown Vancouver. 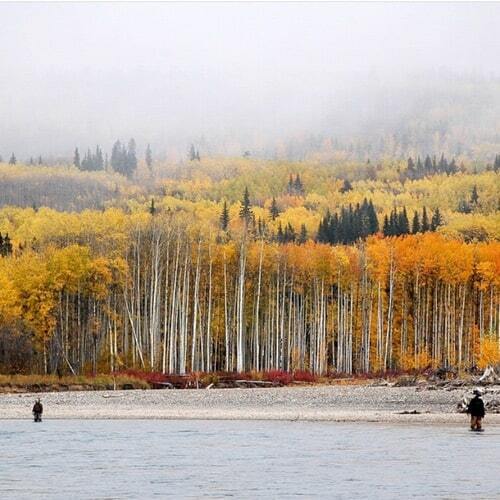 Enjoy a private guided day of salmon fishing within 10 minutes of all downtown hotels. Full-day and half-day trips available year round, visit our Vancouver salmon charter page for more info. 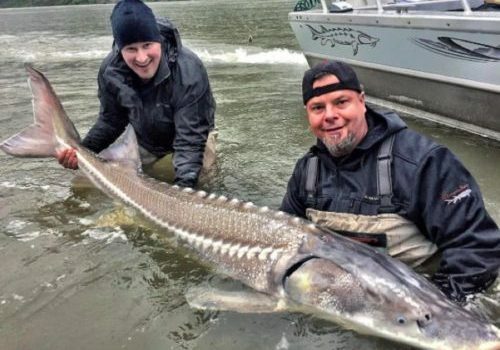 Fishing the Fraser River for monster BC sturgeon. Fish with the best fishing guides on the Fraser River. 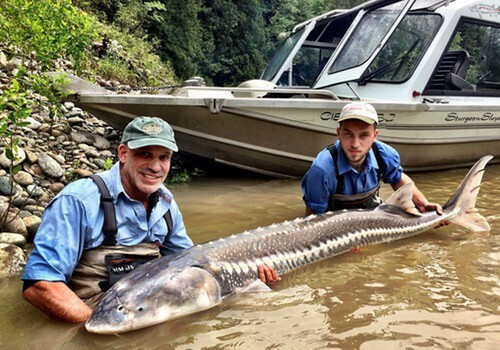 Access to remote stretches of river for BC’s biggest sturgeon! Day trips start at $750 CAD per group. 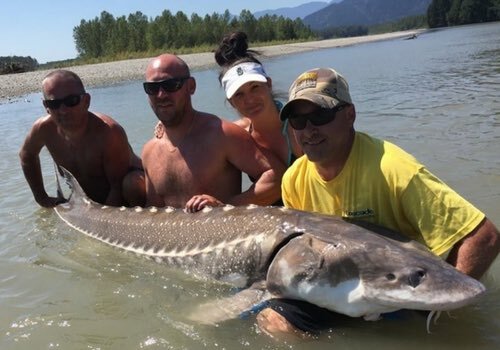 Come fish with our crew of top BC sturgeon fishing guides on the might waters of the Fraser River. 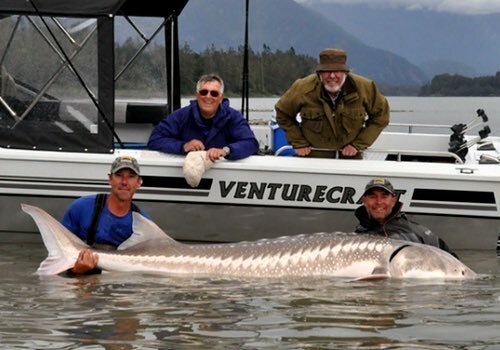 Remote day trips and packages for BC’s biggest game fish, the white sturgeon. Close to Vancouver for an easy day trip! 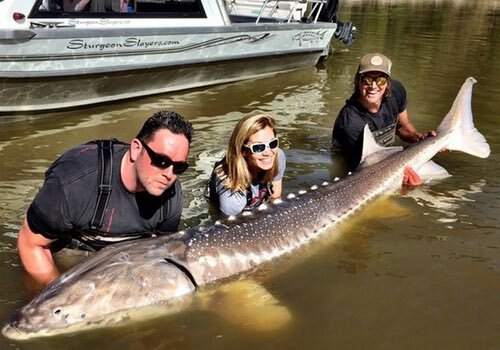 Visit our Fraser River sturgeon page here for more info. What sturgeon trip do you like? Remote Canyon Sturgeon TripChilliwack Sturgeon TripMulti-Day Sturgeon PackageNot sure yet - looking for some advice! 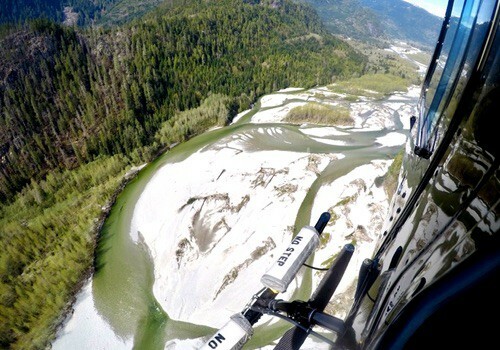 Access wild rivers by private helicopter. Simply transparent day trip pricing, no hidden fees. Everything is included, all guiding, equipment and private helicopter. 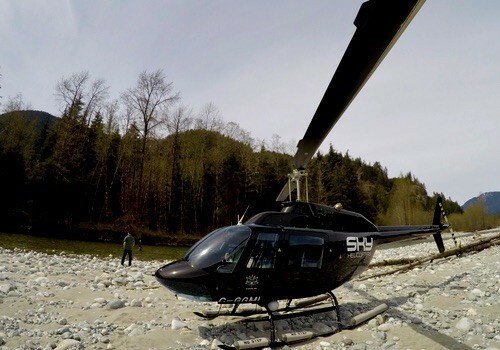 Fly into wild rivers with our guided BC heli fishing trips. 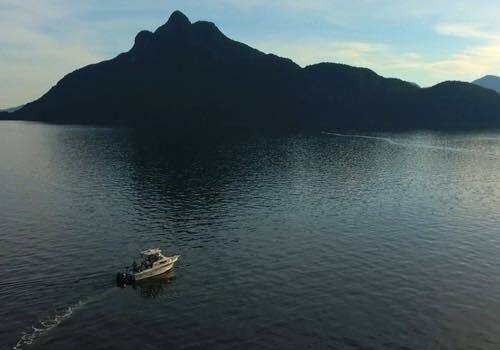 You’ll fish with our expert guide staff and fly with the trust pilots of Sky Helicopters. 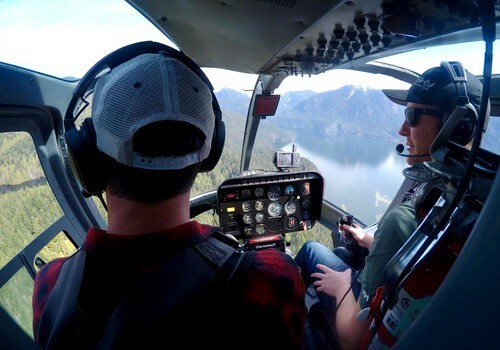 Come experience the ultimate BC heli fishing trip so close to Vancouver. 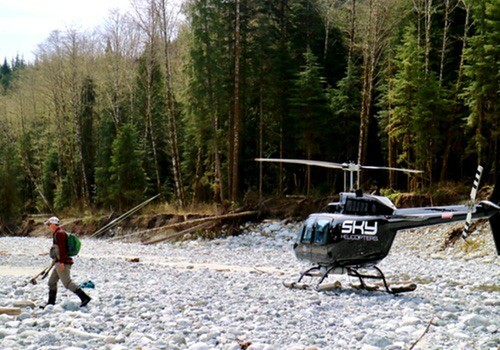 Visit our BC Heli Fishing page for more info and pricing. Have a question? Or want to leave us some details about what you're looking for? Let us know! Fishing on alpine lakes & mountain streams in Whistler BC. 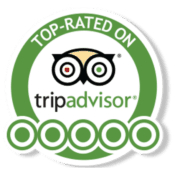 Includes transportation from Whistler, we pick you up. All seasons, even in Winter, come skiing and go fishing! 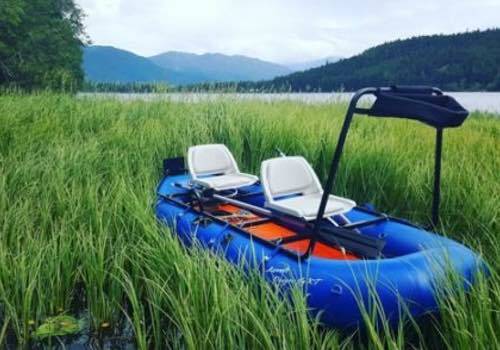 Day trips start at $250 CAD per person. 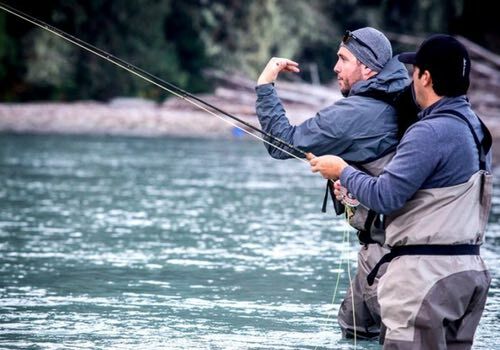 Our guided fishing trips in Whistler are offered year-round and fun for all abilities. 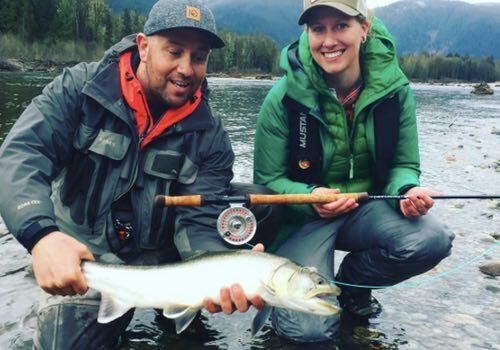 We offer full-days, half-days and Whistler fishing packages, all fishing with our awesome Whistler fly fishing guide staff. 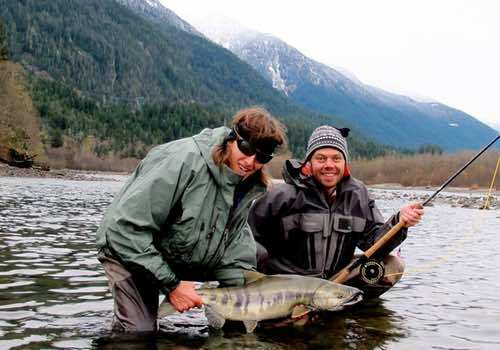 Whistler is only 90 minutes north of Vancouver, visit our Whistler fishing page for more info. 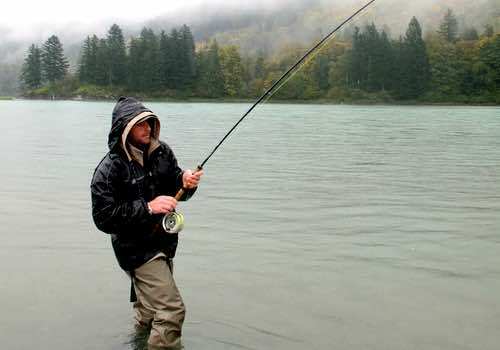 Affordable packages that give you the best of fishing in BC. Packages are totally flexible, built to your budget. 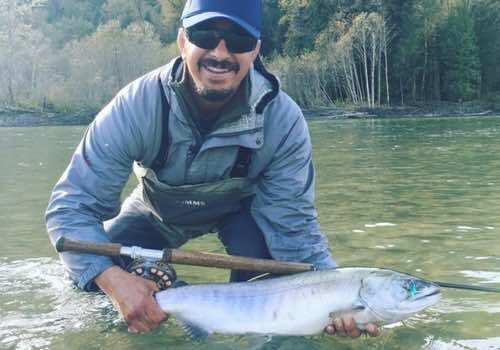 Saltwater salmon fishing and freshwater river fishing for sturgeon. 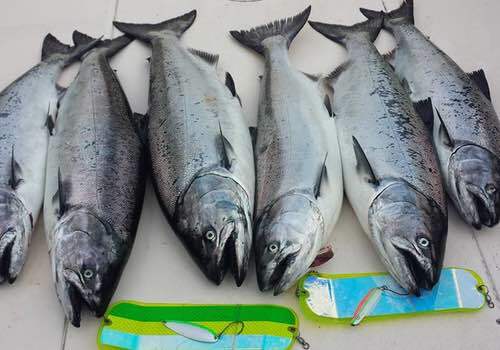 Great fishing without any big travel plans, both close to Vancouver! 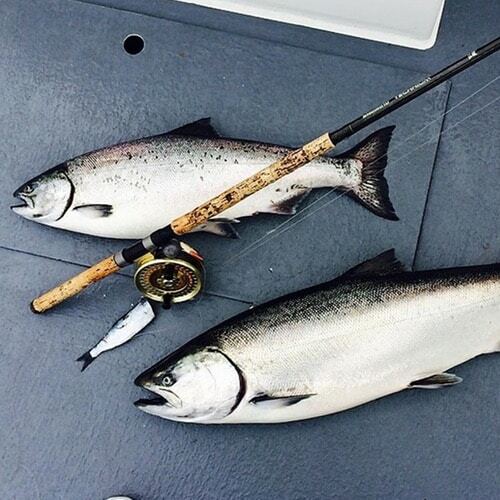 The two coolest Vancouver fishing trips combined into one awesome package. 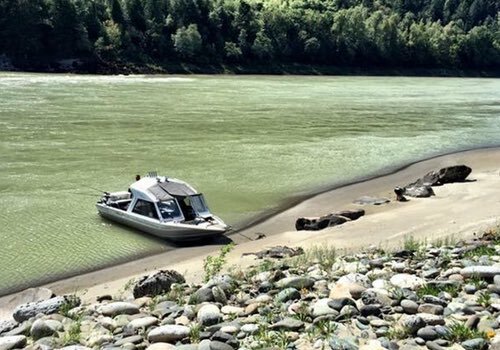 You’ll enjoy great salmon and sturgeon fishing along with comfortable accommodations in one seamless program that won’t break the bank. 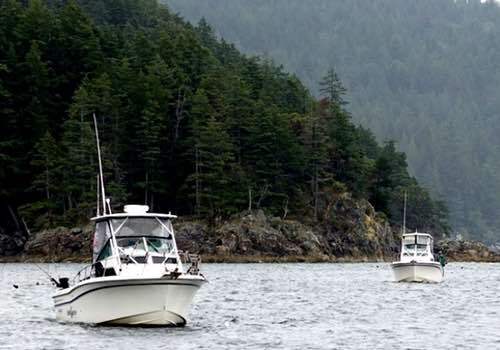 Save money on travel and experience the world-class fishing within an hour of Vancouver. Visit our BC Big Fish Combo page here. 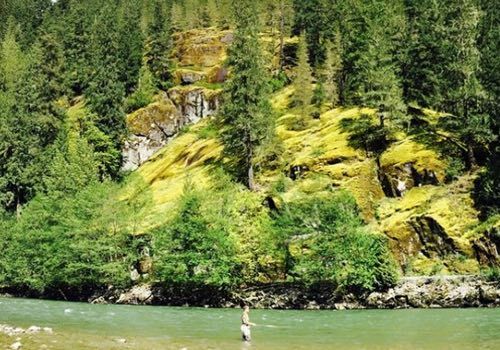 Wilderness river fishing for salmon within an hour of Vancouver. Great option for a September-November fishing trip. Choose from a day trip or an affordable package. Easy and affordable, we even pickup at the Vancouver Airport! 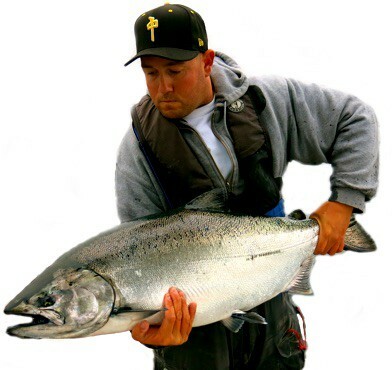 Comprehensive fishing packages to the wild rivers north and east of Vancouver during the Fall salmon runs. Prime dates are September through mid November for these great river fishing trips. 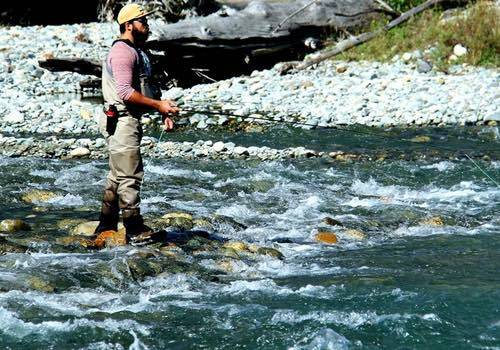 Easily the most affordable option in BC for world-class river fishing, with no big travel plans. Visit our Fall Salmon Fishing Packages page for more info. 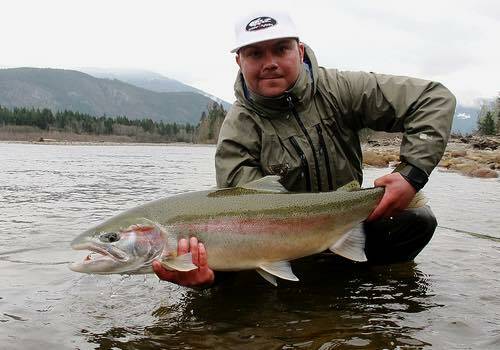 Find a first class steelhead trip during prime dates. 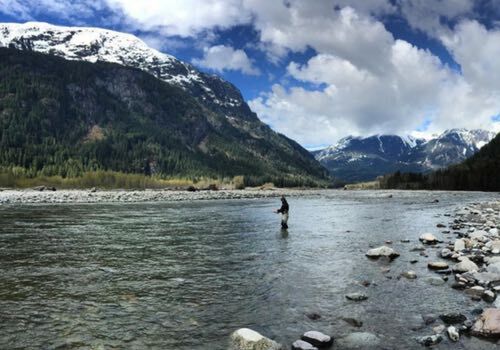 We have all the best BC steelhead lodges and guides right here. We have the BC coast covered with the best lodges, guides and charters for the ultimate BC salmon fishing trips! Click to see 2019 Availability! 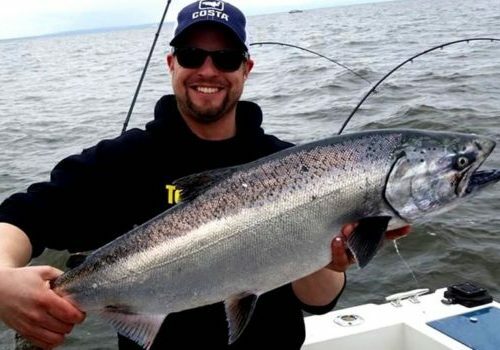 Getting started planning a Vancouver fishing trip is easy, simply fill out our online contact form or call our office toll-free 1-877-902-3393. We’ll get back to you right away with seasonal availability and specific pricing. We look forward to earning your business, thank you.